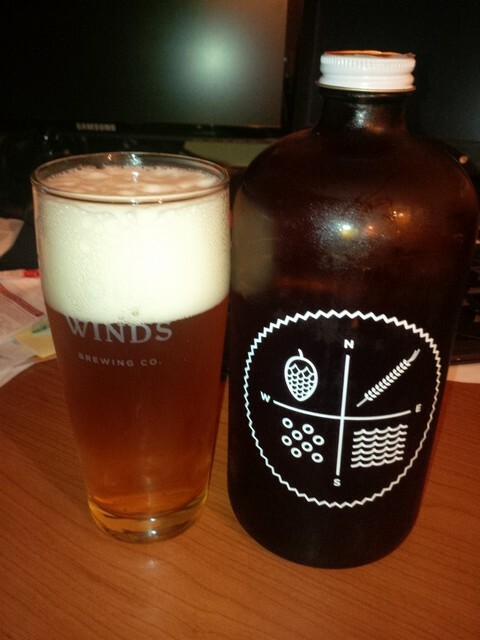 From the brand new Four Winds Brewing Company in Delta BC that opened on June 1st 2013 comes their “Saison”. The beer pours a straw yellow colour with a white head. The aroma consists of wheat, malt, yeast and sweet citrus. The flavour is of wheat, malts, pepper, citrus, yeast and an overall sweetness. The alcohol content of this brew is 6.5% with an IBU of 32. This is a great Saison and a great addition to the local Saison market! We need more saisons for summer drinking! This entry was posted in Saison and tagged bc, beer, canada, delta, farmhouse ale, four winds brewing, Four Winds Brewing Company, malt, malts, malty, pepper, saison, sweet, sweetness, wheat, yeast, yeasty.